Crystal Pools received industry recognition at the Master Builders Building Excellence 2017 Awards winning 3 major awards in both Residential and Commercial categories. 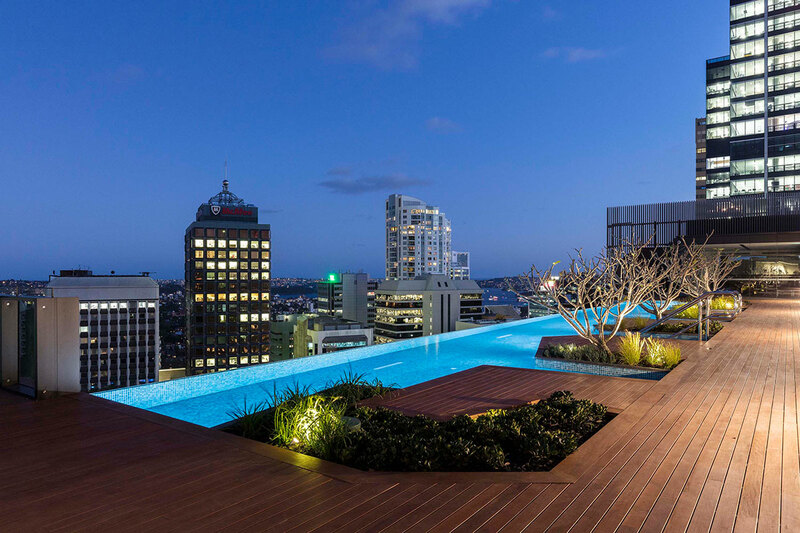 Best Commercial Pool was awarded for the stunning rooftop, infinity pool at Skye Apartments North Sydney (pictured). Best Commercial Spa was awarded for the Spa Pool at Connor, a unique apartment complex in Central Park, Chippendale. Best Water Feature was awarded for the impressive water feature at the new Garden House complex in Waterloo. Another 3 awards were won in the Residential category. Best Traditional or Geometric concrete pool was awarded for a combined family pool and spa in Freshwater. Best Freeform Pool was awarded for a stunning asymmetrical pool in Glen Haven. Best Spa was awarded for a standalone spa in Roseville.